Heaven knows if we’re ever actually going to get a Flash standalone movie. After the rocky start it’s already had trying to settle on a director, and the box office disappointment of Justice League, there’s just no guarantee at this point if the Scarlet Speedster will come to the big screen anytime soon. But if he does, they should definitely not make the movie Flashpoint. Don’t turn this into a movie! I say this knowing full well that Flashpoint is the plan at the moment. At least I’m pretty sure that’s what Warner Bros. has released so far. I think it’s a very, very, very bad idea, and a stupid idea to boot. Join me after the jump to find out why I think so! 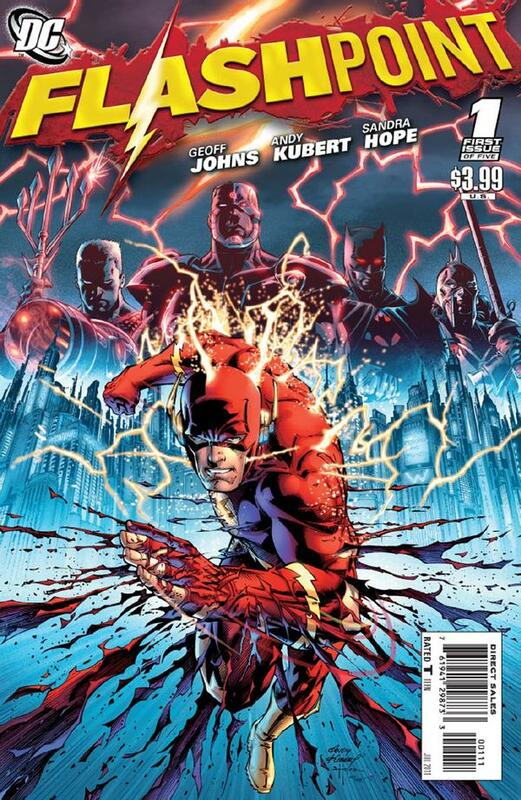 For those who don’t know, Flashpoint is a storyline from 2011 wherein the Flash uses his super speed to go back in time and save his mother from being murdered. When he returns to the present, however, history has been changed so greatly that the world is kind of insane. Superman is nowhere to be found. Batman is now Thomas Wayne, Bruce’s father, and it was Bruce who was shot dead in an alley. And Aquaman and Wonder Woman are at war. It’s basically a superhero version of Back to the Future Part 2. Over the course of the story, the Flash fixes his mistake and sets everything right again — except, not quite. DC Comics used this storyline to reboot their entire universe into the New 52 era. Basically, they had Flash set everything back to near-normal, using this as an opportunity to clear out some continuity cobwebs and remake some status quos to better fit the sort of comics they wanted to write. Flashpoint became, essentially, an excuse to do some slate cleaning without actually erasing all the comics and stories that had come before. DC Comics could say that everything they’d printed still mattered and it was the same universe, just now things were a little changed. This will make for a terrible movie and should not be attempted. I have two basic thoughts on the subject. My biggest rule for superhero movies is Keep It Simple, Stupid. 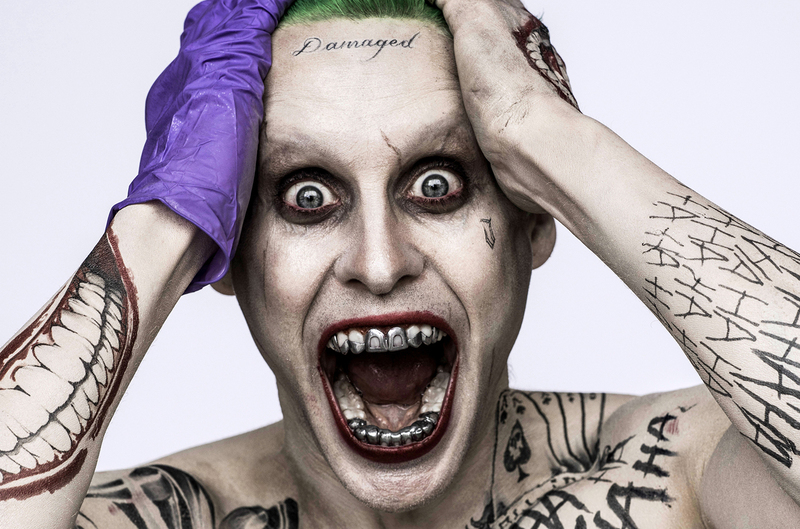 Comic books, comic characters and comic stories can get pretty insane, and that’s fine, because the medium is built to incorporate that insanity. We can handle things like time travel, alternate dimensions, alternate versions of popular characters and the like because its ingrained in comic book superhero storytelling. But big budget movies aren’t there yet. I see people online talking excitedly about a Flashpoint movie and it boggles my mind. You may love the idea of Thomas Wayne’s Batman, but that very concept is too crazy to ever put on celluloid! There’s no way making a direct adaptation of the Flashpoint comic could work or make sense. There are too many moving pieces, too many crazy versions of existing characters and just too much madness to even get started. And it’s not like Flashpoint is held up as the greatest Flash story of all time. People like it, sure, but again, it’s really, really crazy. And it’s all about alternate reality versions of characters we already barely know. 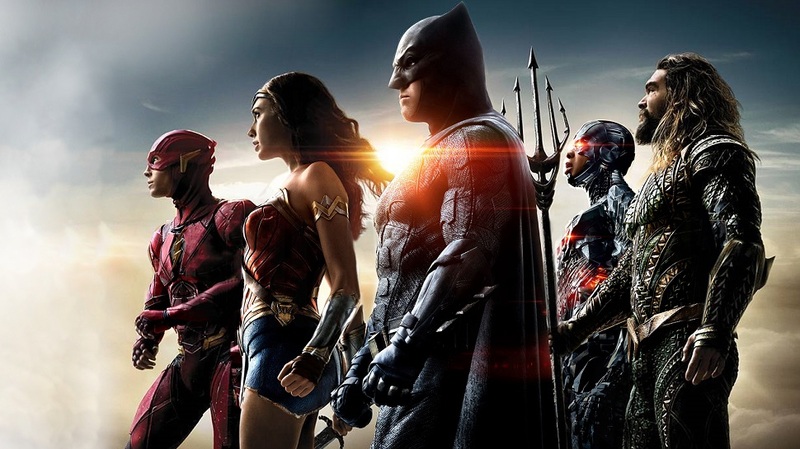 We’re barely met any of these Justice League superheroes. I think I would agree with the idea that Warner Bros. and DC Comics have failed to create their own Cinematic Universe. Marvel did it spectacularly and nobody has managed to match their style. Honestly, DC has nobody to blame but themselves. They made wrong choices creatively, made wrong character and movie decisions, and while they’ve had some successes, the bigger picture just isn’t working out for them. But under no circumstances should they make another big budget Hollywood movie to push some sort of cinematic universe reset button to keep everything in continuity. That would be madness! Like, people say that a Flashpoint movie could wipe the slate clean and allow DC to start again with the characters and the universe, which is what they did in the comics. But holy crap that’s a bad idea for movies. Who says all the DC movies need to be in the same cinematic universe? The money would be nice, but after messing up so badly, DC should just cut their losses. That’s what reboots are for, and they seem to be working. There aren’t any movies to explain why Spider-Man has been rebooted three times. 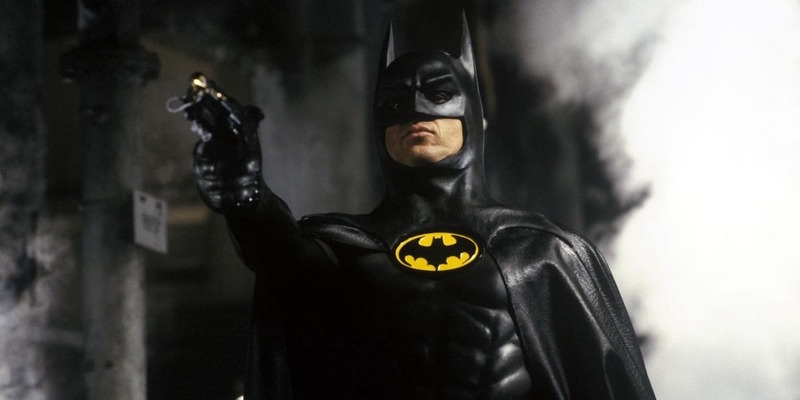 Nobody is confusing the Christopher Nolan Batman movies with the Burton/Schumacher Batman movies with the Ben Affleck movies. The James Bond films change the Bond/style every couple of movies. That’s what DC should do. Rather than forcing another big budget movie at us in order to maintain a continuity that only a handful of people care about, they should just cut their losses and make whatever movies they want. Stop caring about a grand, cinematic universe built around character and film connections. Just make good movies about these iconic characters, and if you get the chance to have a couple of them team up from time to time, maybe do that. But you don’t need to make an entire, expensive movie to serve as a continuity reset in order to maintain your cinematic universe. 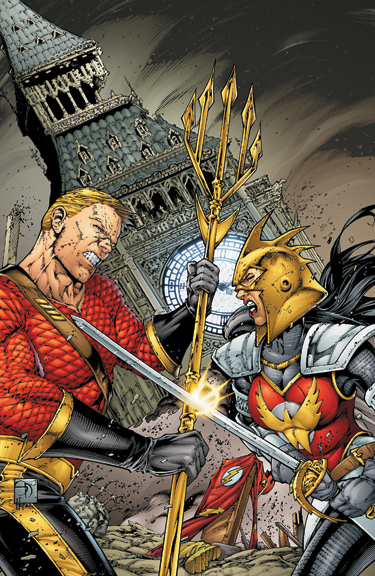 You don’t need to adapt a story as insane and weird as Flashpoint. And you definitely don’t need to waste the Flash’s first big budget movie on this madness. There are literally decades worth of Flash stories you can adapt, including two separate television shows. There are a million better Flash movie ideas than Flashpoint. Please don’t make it happen. Posted on December 8, 2017, in Comics, DC, Movies and tagged DC Cinematic Universe, Flash, Flashpoint, The Flash. Bookmark the permalink. 5 Comments. I agree with you completely, Flashpoint is a terrible idea. I remember showing some people the animated one and they had trouble following it because it was so different. With how badly Justice League performed, tossing Flashpoint into the mix with just solidify the DCEU as a failure.. The animated one is great! It’s pretty faithful to the source material, obviously they had to trim off some things to make it work as an animated film, and the animation style is a little… weird. but it’s a great movie. DC should just stick to animated movies, it’s what they do well. I love the animated movie but I agree it’s a terrible idea for the DCEU. It’s really bad that they are starting with this. We should get a cool Flash movie with some of his rogues causing trouble. Exactly! Ezra Miller was great as the Flash, and a fun Flash movie with a bunch of his villains would be darn cool.